2.Surface inspection and hydraulic pressure test,Strict quality test and control,100% tested for each one. 4.Shower set option: shower head, shower sliding bar, shower hose, shower holder, etc. 5.Packaging: White box, color box, etc for inner packaging,export standard cartons for outer packing. 6.Delivery term: 5days for sample preparing,15-35days for order production,according to order quantity. 7.OEM is welcome, professional and good service. 8.Drop shipping and mixed are accepted. 9.Small order and sample order are also accepted. Overhead shower: item No. 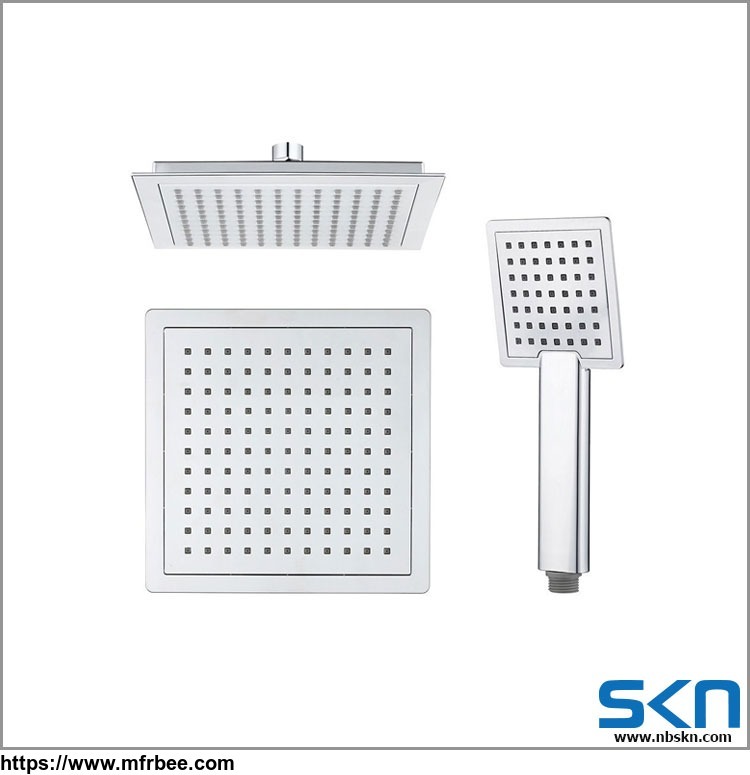 23267, square shower head 226mm*226mm with ABS material,chrome plated. Ningbo SKN Energy Conservation Technology CO.,Ltd.